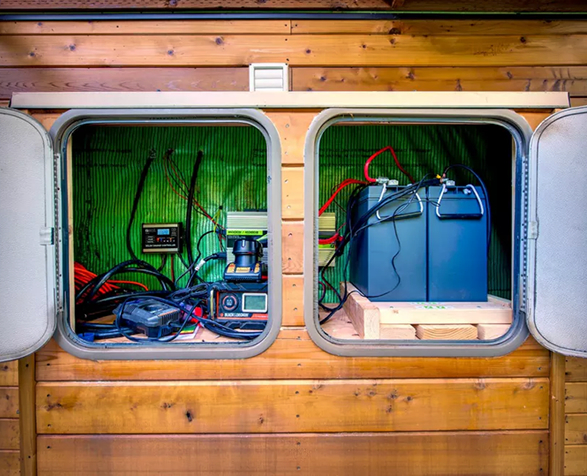 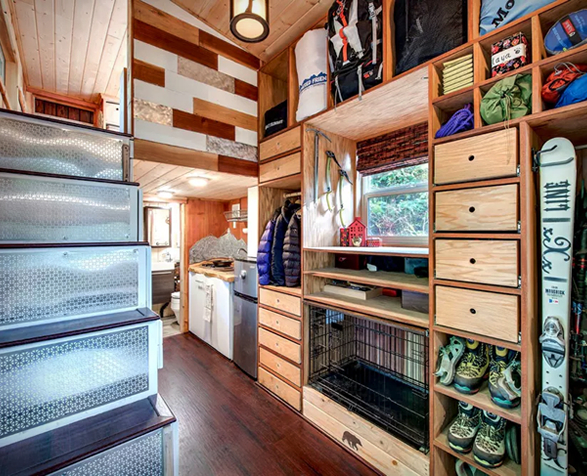 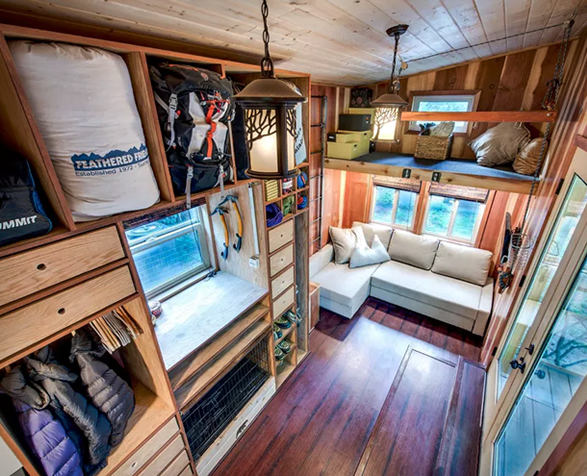 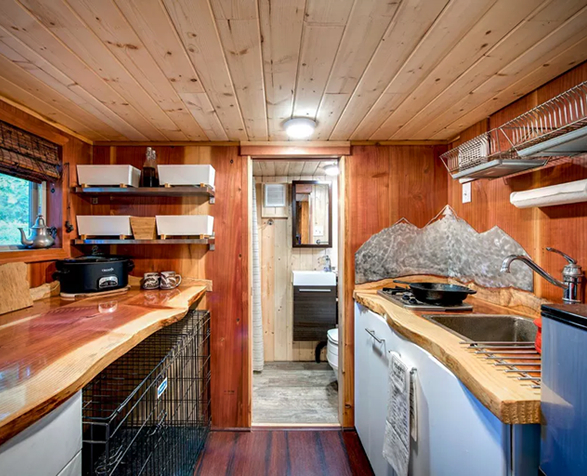 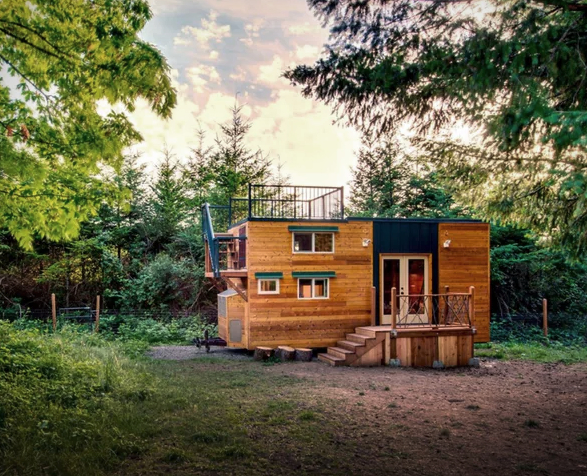 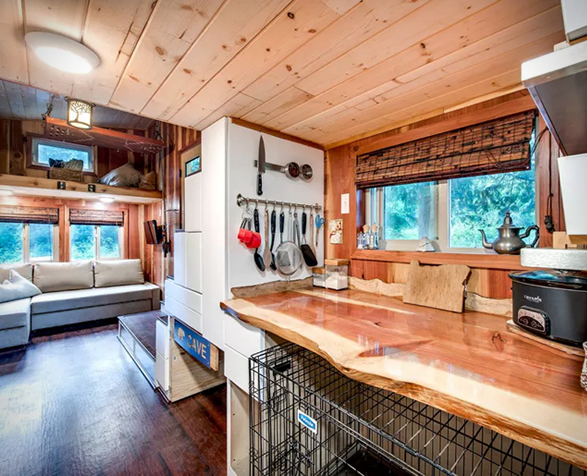 The Basecamp Tiny Home is a small house on wheels that´s jam-packed with storage space, pet-friendly features, and sustainable technology to allow it to operate off-grid. 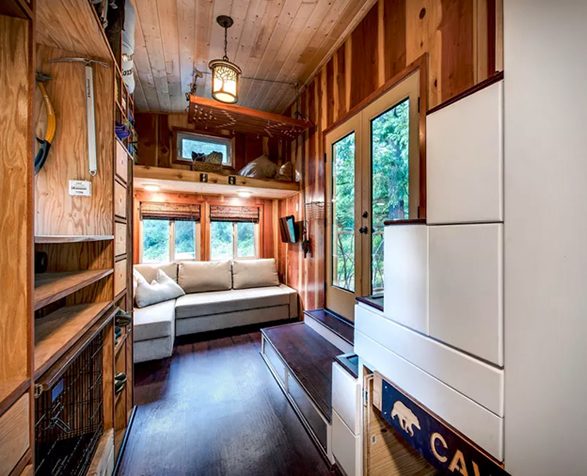 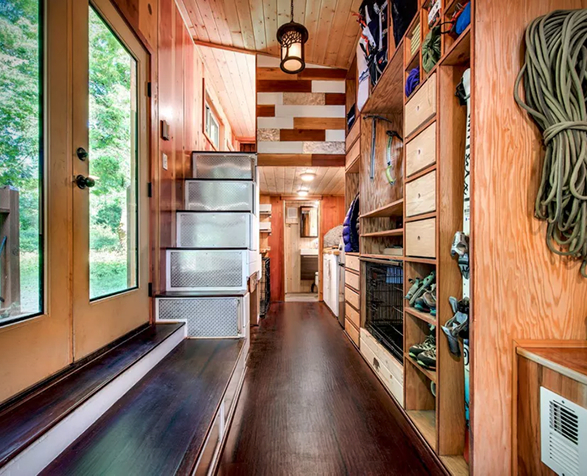 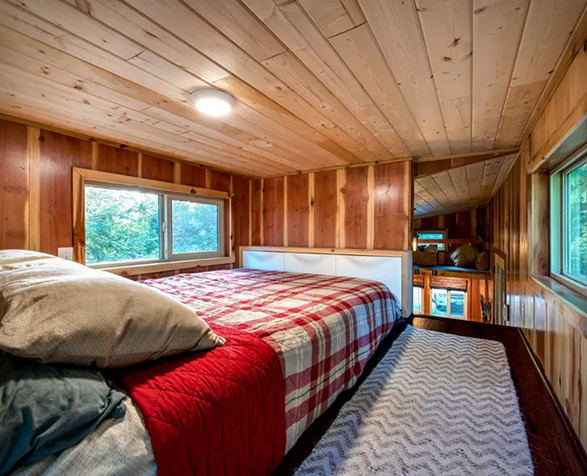 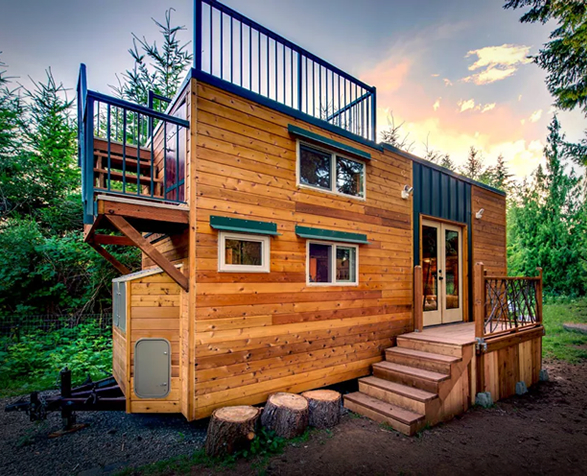 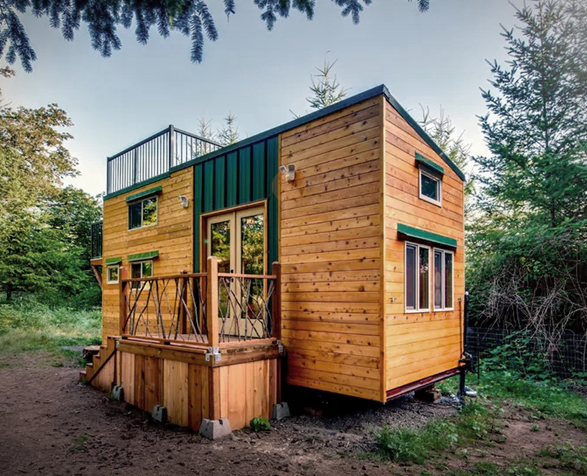 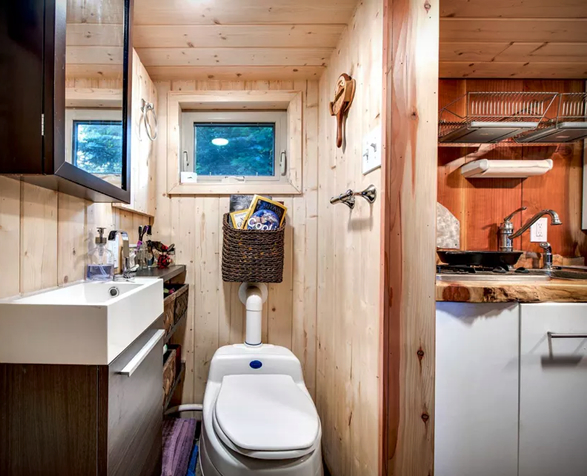 The little retreat has all of the comforts of living in a larger space condensed into a small two story 204 square foot house. 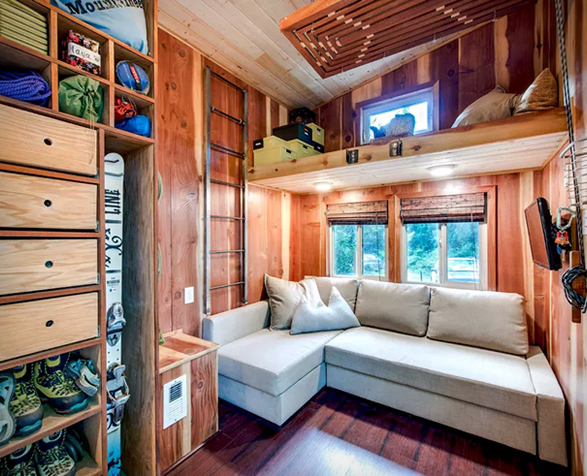 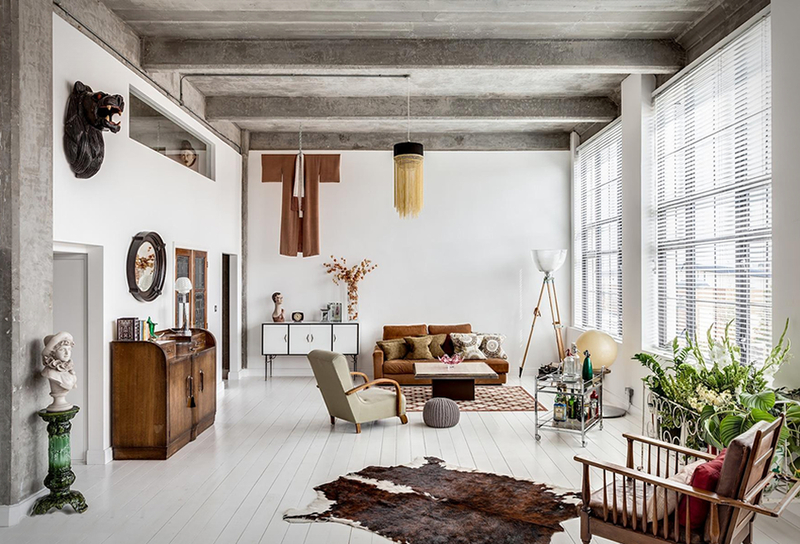 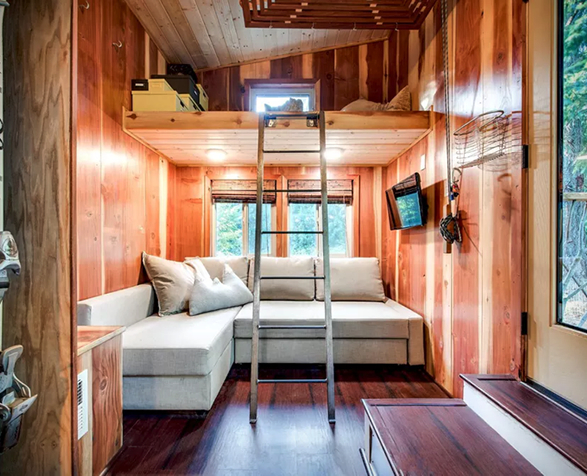 It features a living room with a couch that can also serves as a guest bed, a wall-mounted TV, a storage loft, a fully stocked kitchen with a gas stove, a bathroom, a sleeping loft reached via a storage-integrated staircase, and lots of storage nooks and foldaway furniture. 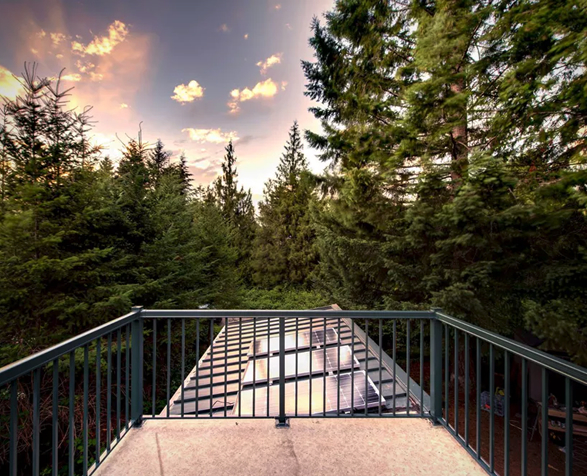 It also has a rooftop deck, a solar array that helps power all of the appliances, a rainwater collection system, and battery backup. 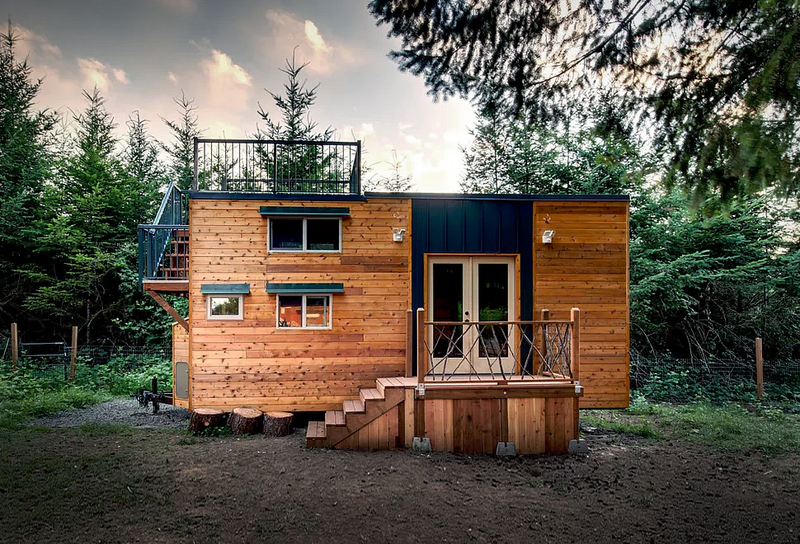 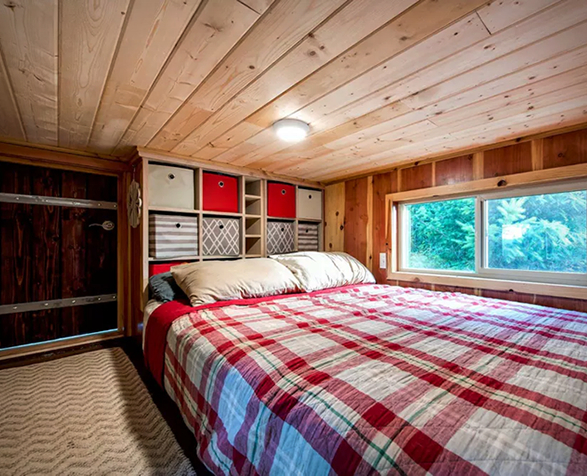 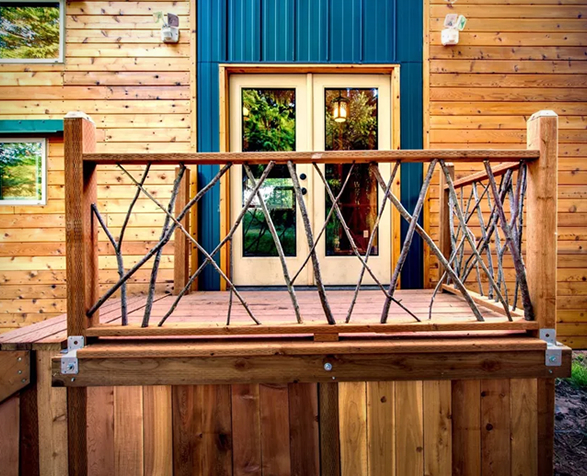 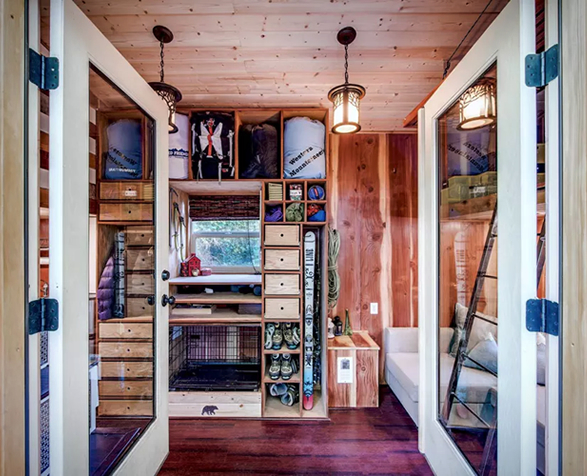 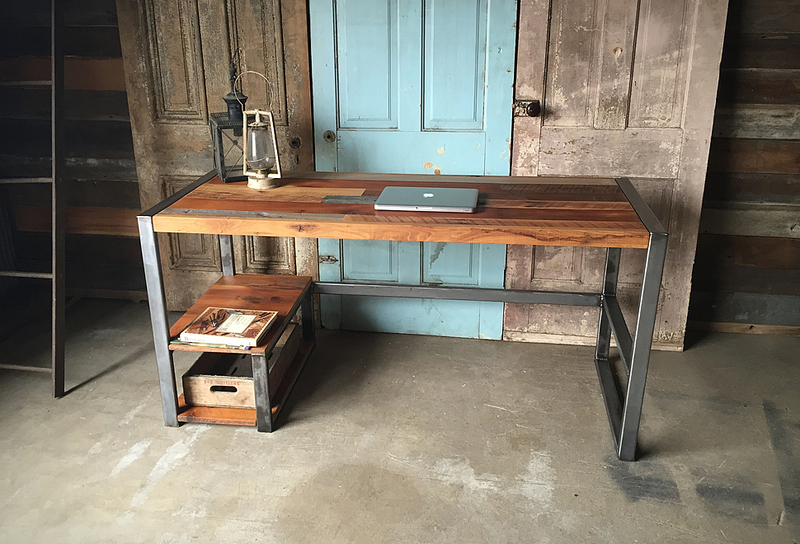 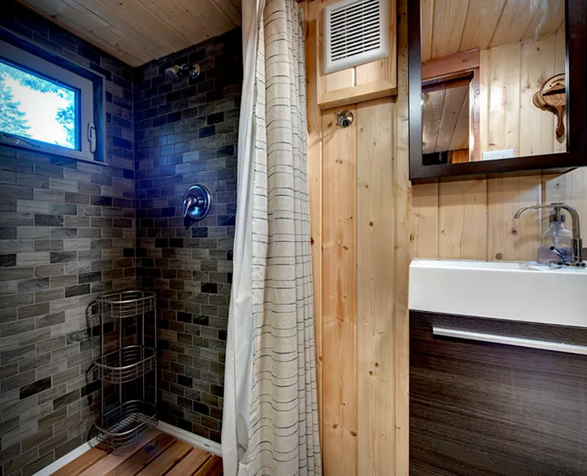 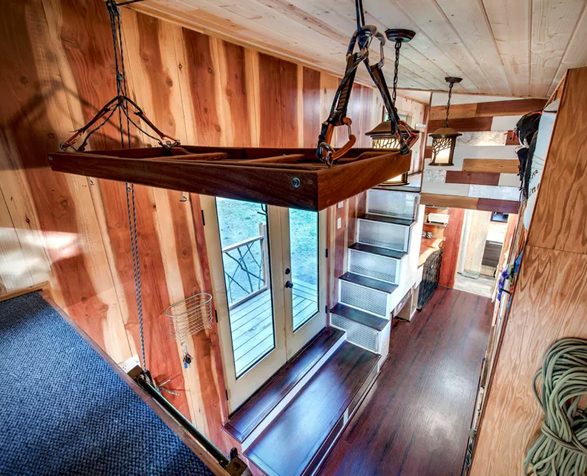 Head over to the "Backcountry Tiny Homes” website for more custom tiny house designs and plan sets.